High viscosity super glue is so easy to work with - it doesn't dribble and run like standard super glue does, so it's much more controllable. 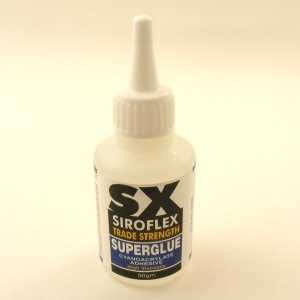 This is a truly reliable, trade strength super glue. Use it to attach metal brooch backs to leather, fit ends onto thong bracelets, and countless other jobs around the house! We recommend that you use disposable rubber gloves when working with super glue. 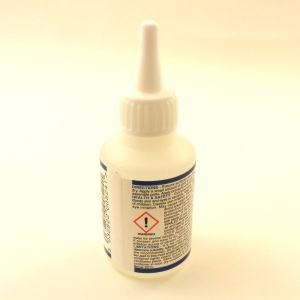 * If you want to glue two flexible surfaces together, we would recommend that you use latex glue instead, as it retains it's flexibility when dry.